A pianist, who is a specialist in the study of opera repertoire, helps singers learn the dramatic and musical aspects of the operatic roles. An experienced teacher guides the students through the reading and the understanding of the libretti and their specific language. The body is the sound box of the voice. Guided by a professional in vocal technique, the students improve their respiration and learn the correct use of the muscles in order to obtain better sound emission. Violin, cello, flute, oboe, guitar, and so on… This course is meant for people who would like to start or improve playing the instrument. The M13 program is a series of Italian language and personalized music courses which prepare music and vocal students for entrance exams/auditions to any Italian or foreign Music Institute. 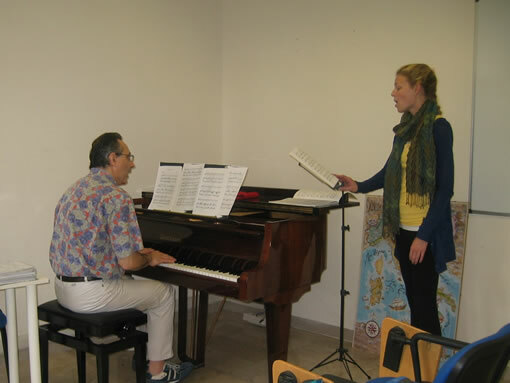 Our instructors are internationally recognized musicians and singers.